Shoppers hoping for deals on streaming devices this Black Friday have a lot to look forward to. From feature-rich offerings like the Chromecast Ultra to budget-minded sticks like the Roku Express, there's a device for every budget and need. If you're in the market for a new way to stream, read on! So what can you expect from Black Friday streaming device deals? Our friends at Dealnews have created a "cheat sheet" with the top tips you need to know when shopping. After reading the tips, consider signing up for the DealNews Select newsletter to keep track of the latest deals in your inbox. All 4K-capable devices command a premium. If you don't have a 4K TV, regular HD devices are significantly cheaper. If your streaming needs are audio-only, check out the Chromecast Audio. We saw more Thanksgiving deals than Black Friday exclusives, but keep an eye out for deals all weekend. Ignore the Apple Store. Target, Adorama, and other retailers will likely have better deals. 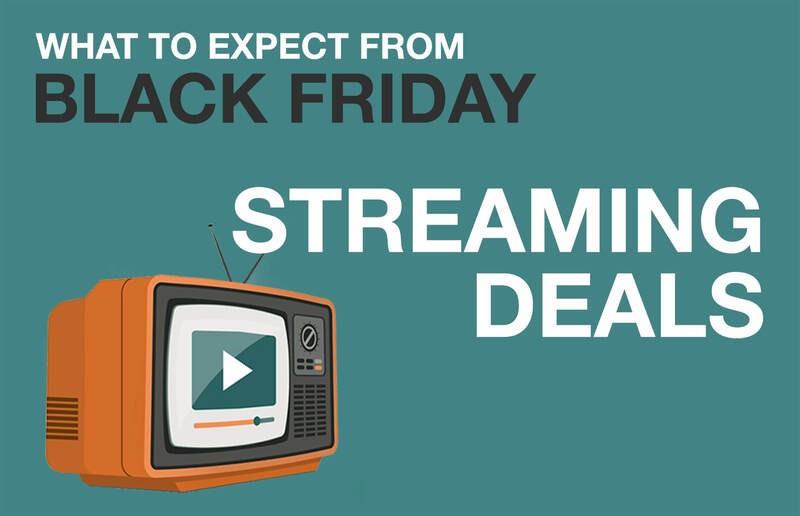 Want more details on how, what, where, and when to buy streaming media device deals this Black Friday? Then check out our full analysis below. 4K separates the budget streaming media devices from the expensive ones. If you don't have a 4K TV, you might not want to spend the extra money on the premium players. Skip ahead to the section most relevant to your needs. Customers who don't need 4K or are on a budget should look at one of the stick-based media players — particularly the Roku Express, the Amazon Fire TV stick, or Google's Chromecast. The current-generation Chromecast is advertised at $35 at Best Buy, so expect discounts to bring it down to around $25. The Roku Streaming Stick and the Roku Express will likely see similar ($20 to $25) deals. You may also be interested in the Chromecast Audio, which allows you to stream audio from your phone to any speaker system with a headphone jack, RCA stereo jacks, or an optical audio port. Entry-level Chromecast devices were discounted into the mid-$20s last year. The Chromecast has seen upgrades since then, so we expect a similar price point (and discount) this year. Even the Fire TV stick with voice control will drop to a very affordable price of $30. Amazon's Fire TV Stick should also see a modest discount. Last year saw the Fire TV Stick (with voice remote) discounted to $30. Again, expect a similar deal this year. If you need 4K, you'll want to upgrade to a premium device. Last year saw deals on the Roku Ultra. This year, we think you'll also see deals on the Chromecast Ultra, which currently retails at $70. You might see offers discounting that device as low as $40 (based on discounts to comparable Roku streaming devices). Speaking of Roku, shoppers looking for a 4K Roku player will have their choice between the Premiere+ (currently selling on Amazon for $84), and the Ultra (on Amazon for $104). The Ultra sold for $97 on Black Friday last year, but it started at $130. As such, we expect the price on the Roku Ultra to come down significantly — possibly far enough to compete with the Chromecast Ultra, which retails at around $70. Along the same lines, we saw the Premiere+ drop to $68 over Black Friday weekend last year. We expect a more competitive price drop this year, possibly as low as $39. If you don't need the Ultra's optical audio output or voice search, save a few dollars and pick up the Premiere+. If the Chromecast Ultra drops to $40 on Black Friday, then it'll only be about $10 to $20 more than standard streaming stick deals. Sadly, Apple fans looking to upgrade to the Apple TV 4K are unlikely to see any discounts on the shiny new tech. However, Black Friday is an excellent time to pick up the old model. The previous-gen 32GB Apple TV (which streams content in 1080p) is currently selling in the Apple Store for $149. Of course, you know better than to buy at these prices! Apple rarely hands out deals, so look to other retailers during Black Friday. Adorama sold the 32GB model for $99 in June of this year, and Target offered it for $113 last Black Friday. Watch these two retailers in particular during the shopping holiday; we could see Apple TVs fall under $100 again. The current-generation NVIDIA Shield is retailing at $200. We've seen the previous generation go as low as $175, but we haven't seen these devices discounted for Black Friday yet. Keep an eye out, but temper your expectations. Sadly, we don't expect anyone else will be lucky enough to find a Shield 2 prototype in a pawn shop. Last but not least, the 4K-enabled Amazon Fire TV came down to $64 last year at Target stores. Watch out for that deal to resurface — and look for any retailers who might be price matching. Customers who want to buy a streaming media device should keep their eyes open during the entire holiday weekend. We posted more streaming media deals on Thanksgiving than we did on Black Friday. However, those deals continued to appear until Cyber Monday. We expect this trend to repeat itself this year, and you should see deals popping up over the entirety of the holiday weekend. Plenty of big-box retailers carry streaming media devices and are poised to discount them. Target, Walmart, and Best Buy all reduced streaming devices over the 2016 holiday weekend, and you should expect them all to do likewise this year. Planning to buy a Fire device? Amazon didn't have the best deal we saw on the Fire TV last year. Target did, as part of an in-store offer. Definitely keep an eye out for deals on Amazon products in places other than Amazon's site. Sean Flynn is a contributing writer at dealnews. Republished with permission.